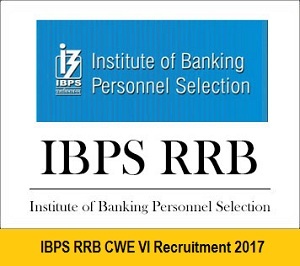 IBPS RRB VI Recruitment 2017 : IBPS (CRP) (RRBs VI) Exam is going to conduct for government examination for Group “A” Officers (Scale I, II & III) and Group “B” Office Assistant (Multipurpose) Posts. Want to apply for this Exam? Now you can apply from the official site. Want to know more details such as Syllabus, Age Limit, Eligibility Criteria, Exam Fee, Application Processes, IBPS RRB VI Admit Card Date, IBPS RRB VI Exam Date, IBPS RRB VI Result Date and IBPS RRB VI Last Date Details? Now you can check below. Educational Qualifications: Bachelor’s degree in any discipline for Office Assistant Multipurpose). Based on Role, the qualification will differ. Check from notification. 3. First of all, you have to register on the official site. 4. Mention all important details.